If you're looking to impress for a Sunday lunch or a special occasion, a saddle of venison is certainly the way to go. Season with salt and pepper, tuck a few sprigs of rosemary in there and roast slowly. Fantastic. Allowing 250g - 300g per person, this joint will serve about 6 people. Please be aware that our game may contain traces of shot. We guarantee this will have 3 days, including delivery day, before its expiry date. Don't forget this can also be frozen. Chris Chappel and Stephen Crouch describe themselves as conservationists. The pair are passionate about the stunning Hampshire woodland where they manage deer, pheasant, partridge, pigeon, and rabbit that are all raised to the highest welfare and all roam the land freely. It's a family affair that started back in 1967 because, they say, "we needed to do something to feed our hungry children." They sell game locally at farmer's markets and to some of the country's top restaurants. 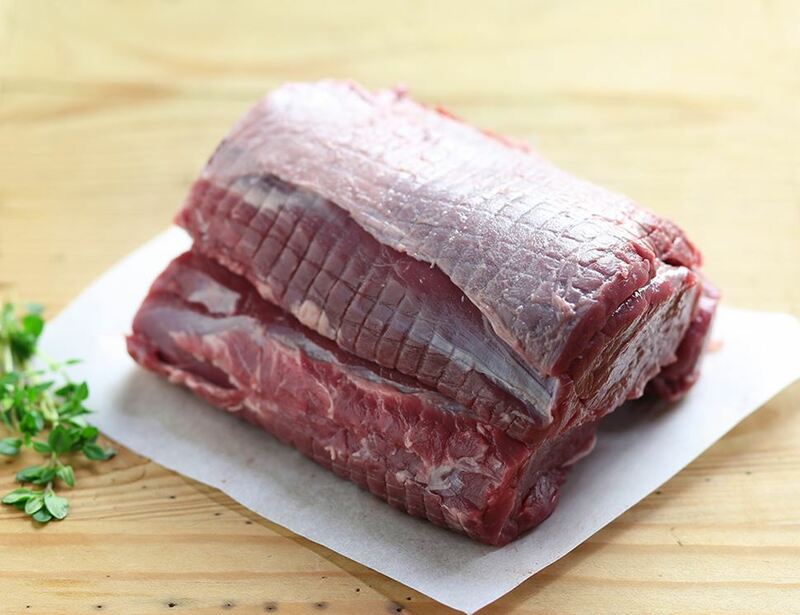 Wild Venison (100%). Please be aware that our game may contain traces of shot. Keep chilled. Once opened keep refrigerated and use within 1 day. We guarantee that your order of meat and fish will have 3 days before its expiry date, including the day you have it delivered. All of our fish and meat can be frozen unless otherwise stated. If freezing, please do so within 2 days of delivery and use within 3 months. To cook remove outer packaging and prepare as required.